New Album First World Blues Out EVERYWHERE August 10, 2018. 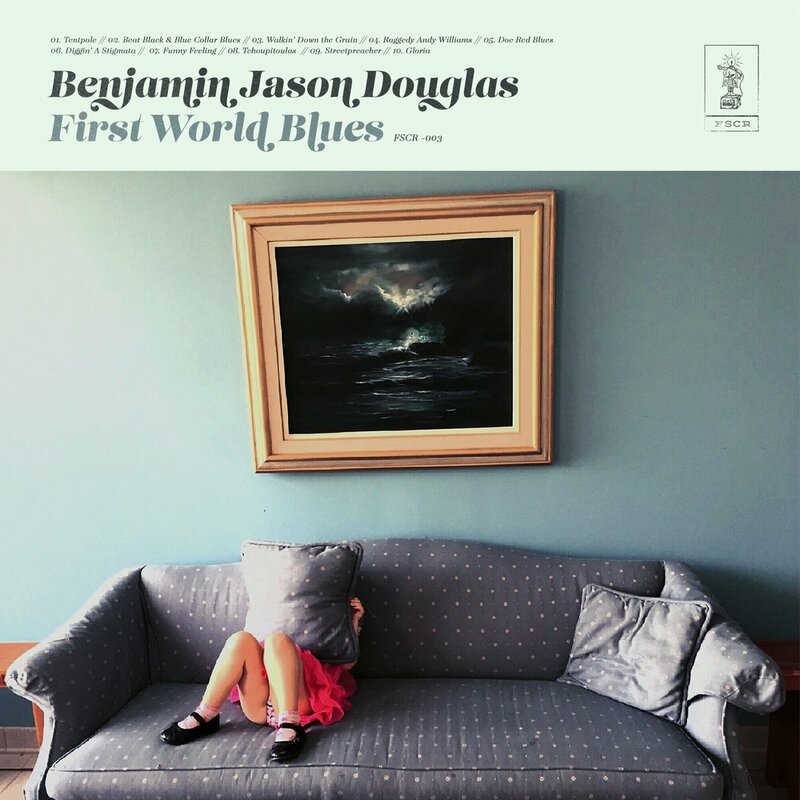 East Nashville by way of a creekside suburb right outside of Baltimore, songwriter Benjamin Jason Douglas weaves classic American folk tales not unlike those of John Prine and Guy Clark. But he’s also lit up by the torch song sarcasm of Randy Newman. Those influences come to you mixed-up with the voodoo blues of Dr. John on a whiskey-soaked bender with Tom Waits. His narratives pin laughter beside loneliness like two old friends who don’t really get along but make it work for the sake of the song. With every sneaky 7th and diminished chord struck by this graveled soul, he aims to make light work of heavy hearts, as if only to convince himself he can. What you end up with is a sound that truly defies categorization, a magical potion of tent revival gospel and outsider anthems that are all his very own. Get down with this 3 star S.O.B., you’ll be glad that you did!